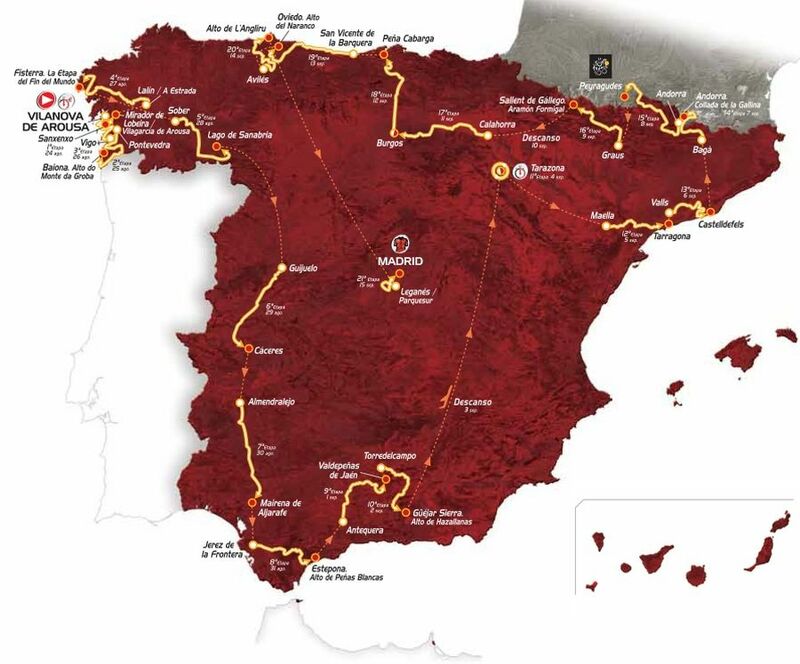 La Vuelta 2013 had its official announcement today, finally giving us the full picture on all 3 Grand Tours this year. The race will run from August 24th to September 15th and will start on the coast of Galicia, ending, as usual, in Madrid. Last year’s Vuelta was the most exciting tour I have seen in years and the organizers obviously think they know why – there were 10 mountain-top finishes (yes, 10…). This year? 11, of course. I hope their vertical enthusiasm doesn’t backfire and scare everyone except Contador and Rodriguez (and the whole Euskaltel-Euskadi team, of course) away. They don’t wait long for the hills either, with Stage 2 being the first mountain-top finish. But they haven’t totally forgotten about everyone else and have included one team time trial, one individual time trial (of only 24 km) and 6 flat stages for the sprinters. This entry was posted in Cycling and tagged vuelta a espana 2013 route map. Bookmark the permalink. it all looked , well just a little suspect this year…. Spanish 1.2.3.and with mr Rodriguez not even on a pro tour ticket ,this year he will be doing wild cards to get in ,Where is Mr Cobo he couldnt even climb out of bed this year…..
As if Lance doesn’t look ridiculous enough now. All I can say is, if he cries I’m not watching anymore. Contador will be there, I’m sure, so that makes it exciting already…unless he absolutely no competition.